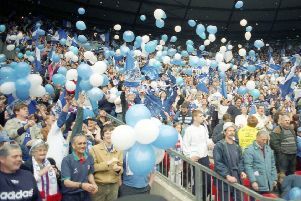 It may have been 20 years ago, but Jamie Hewitt remembers it as if it happened yesterday. 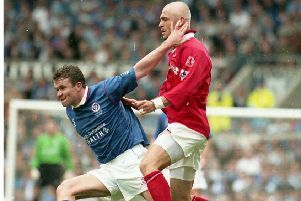 Paul Holland’s chance to play in the biggest day in the Spireites’ history might not have happened. 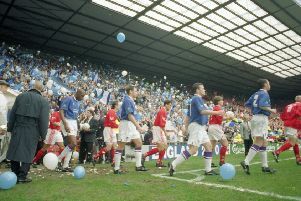 Chesterfield manager John Duncan’s pre-match message to his players was to try to take in as much of the occasion as possible, but he agreed to a different method to try to relax his squad before the big match. It was, he says, simply the best day of his career in football. 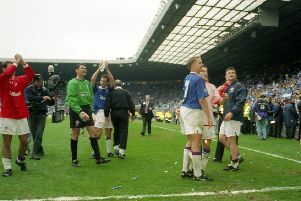 Jamie Hewitt says the sea of blue and white that greeted the team coach at Old Trafford ahead of Chesterfield’s FA Cup semi-final with Middlesbrough is a sight which will live long in his memory. 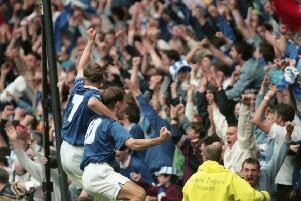 Twenty years ago today Chesterfield FC made the world stand up and watch as they nearly pulled off that famous FA Cup semi-final win over Boro. 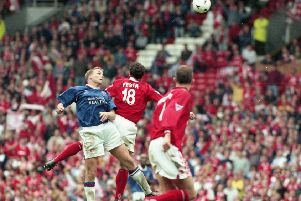 Kevin Davies says the referee’s decision not to award a goal for Chesterfield against Middlesbrough in the 1997 FA Cup semi-final at Old Trafford remains sore to this day - almost 20 years on. 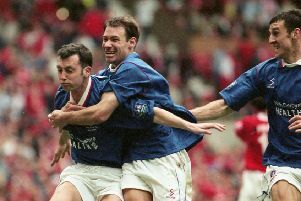 Hometown hero Jamie Hewitt felt team spirit helped drive Chesterfield to the FA Cup semi-final in 1997. 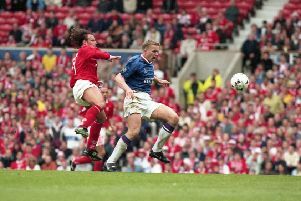 Third-tier side Chesterfield gave Premier League Middlesbrough the fright of their lives in FA Cup scare after a thrilling 3-3 semi-final at Old Trafford on 13th April 1997. 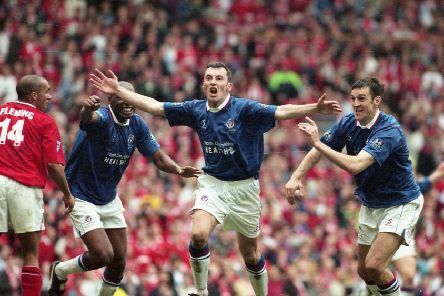 It’s a game we all remember as Chesterfield were robbed of a place in the FA Cup final.